Welcome to The Charter Hill Society — a group of alumni, parents, and friends who share a lasting affinity for the University of California, Berkeley and an extraordinary commitment to preserving and enhancing its excellence in education, research, and public service. By contributing $1,000 or more during the fiscal year (July 1 - June 30) to any school, college, department, or program on the Berkeley campus, you establish and sustain your membership in this special philanthropic circle. Your annual giving provides the campus a key source of support. 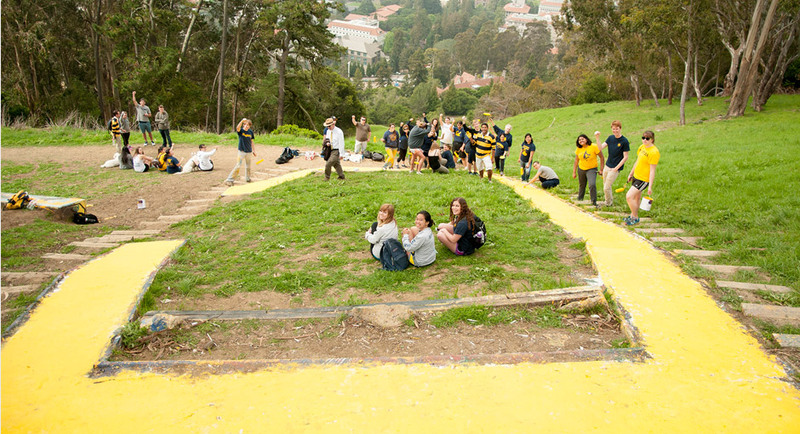 Thanks to you, the society is uniquely powerful in its impact on the university, much like its namesake: the hill just above Cal’s Memorial Stadium that provides such a majestic view of the Berkeley campus, San Francisco Bay, and Golden Gate Bridge. From below, Charter Hill is immediately identifiable by the gold block “C” that has graced its western slope for more than 100 years — ever since the sophomore and freshman classes of 1905 put aside their rivalry to construct it. Since then, the Charter Hill and the “Big C” have been beloved features of the campus landscape and symbols of the university’s founding ideals, strong sense of community, and unwavering spirit.